I find that the spring garden can put on a glorious show almost without my help. I have a few favorite perennials and some companion shrubs that never disappoint in my zone 8A garden such hostas, peonies, iris , reblooming hydrangeas, and double flowering peony daylilies provide elements of textural contrast and pops of color that are hard to beat. Peonies, lilacs, daffodils and tulips easily make a spectacle of themselves. I do my best to offer a little direction and advice, but those early plants are scene stealers that do a good job of shining bright on their own. 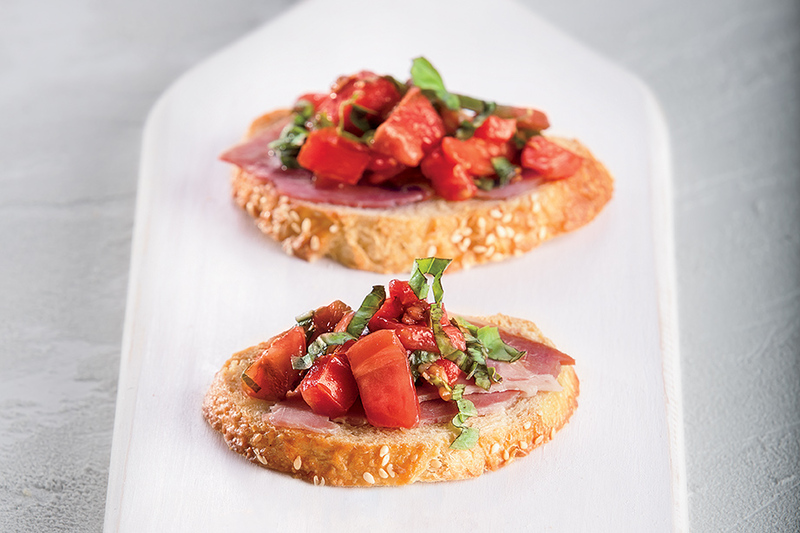 Then comes summer – a different gardening experience altogether. Hotter temperatures, spent flowers, and insects and disease reassure me that I do play an important role in the health and beauty of the plants. A little garden maintenance and a few key chores can make the difference between a good summer garden, and a great one. 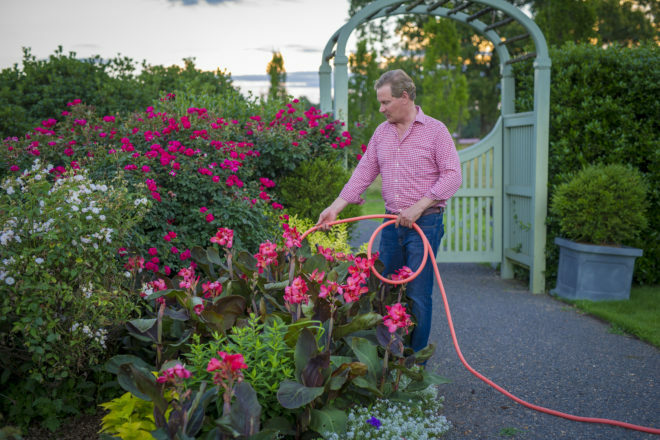 For me, the best summer gardening approach revolves around five main strategies: deadheading, fertilizing, disease and insect control, weeding, and watering. 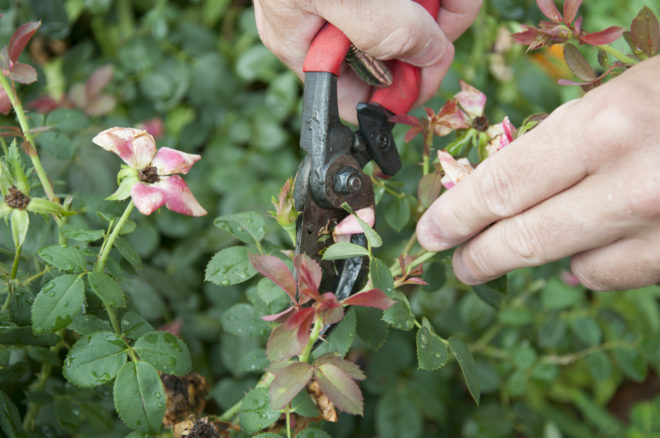 Deadheading – or removing spent flower buds – helps promote re-blooming and keeps the plant looking nice between flowering. Deadheading is key to keeping your perennials (and annuals, too) blooming for as long as possible. Once a flower is spent, the plant begins to develop seeds for future reproduction. But that drains a lot of energy from the plant and its roots. By using a hand pruner to remove the spent flower head, energy is redirected into creating new flower buds. And it makes the plant look a lot better, too! Some perennials that benefit from deadheading and will likely re-bloom include shasta daisies, coneflowers, salvias, coreopsis, bee balm, tall garden phlox, and black-eyed Susans. And while spring-flowering plants like peonies will not re-bloom with deadheading, removing spent flowers (and preventing seed development) will provide more energy for building and maintaining healthy roots. Midsummer is also a great time to cut back fall-blooming perennials that may be starting to set early flower buds, like mums and asters. This is sometimes referred to as “pinching back.” Cut the plant back by about a third. A nice bonus to this chore is that in addition to delaying bloom time, it also results in a fuller plant. For example, I cut Russian Sage back by half after the first heavy bloom resulting in a beautiful re-bloomed plant in October. I work from the premise that a healthy garden starts with healthy soil. If your soil is in good shape, it might not be necessary to add fertilizer – let your plants tell you if they need it. If you notice yellowing leaves or a general failure to perform, consider enriching your existing soil by top-dressing the plant’s roots with compost. Lucky for me, the chickens at Moss Mountain Farm provide us with a steady supply of manure and compost. You can also supplement plants with a slow-release granular fertilizer like Osmocote. A balanced 14-14-14 fertilizer will boost roots, green foliage, and flower production. Kellogg Garden Organics All Purpose Fertilizer is a great choice for gardeners who prefer organic solutions. I like to think that if gardening was too easy, I wouldn’t enjoy it half as much. So when I’m faced with obvious damage to a plant, whether it’s black spot on a rose, powdery mildew on tall garden phlox, or aphids on milkweed, I’m ready for the challenge. For diseases like black spot and powdery mildew, consider whether your plant is positioned so that it’s getting proper air circulation. You’ll be battling disease constantly if plants are too crowded, creating an environment that holds moisture, letting disease thrive. Precautionary measures can be taken to prevent this such as avoiding watering at night or from above the plant. Hand watering or a gentle drip is best for healthy and disease-free plants. If you’re still having disease issues, consider using an environmentally friendly product like Neem oil or insecticidal soap. Neem oil is created using an extract from the neem tree (Azadirachta indica), which is native to India. It is used to treat common plant diseases and control insects. Because it must be ingested by insects to be effective, it will not harm pollinators like bees, butterflies, and ladybugs. In addition, Neem oil is used to prevent diseases such as black spot, rust, and powdery mildew. It’s also biodegradable and, if used correctly, safe for animals, which makes it a good first choice for gardeners looking for a kinder, gentler way to maintain healthy plants. Insecticidal soap is effective for treating aphids, scale, thrips, sawfly, spider mites, whiteflies, and many more insects. It works on contact so it needs to be sprayed directly on the invaders. Residual spray on the leaf will have no impact. Genetics also play a role in the disease resistance of plants. Filling your garden with re-blooming perennials such as daylilies and tall bearded iris, provides a naturally disease resistant solution to your gardening woes. Weeding is probably the most unpopular strategy in my arsenal of garden maintenance tips and tricks, but there’s no avoiding it. Weeds compete with desirable plants in the garden by stealing valuable soil nutrients and moisture, so they gotta go. To avoid the spread of more weeds, getting to them before they go to seed is crucial. 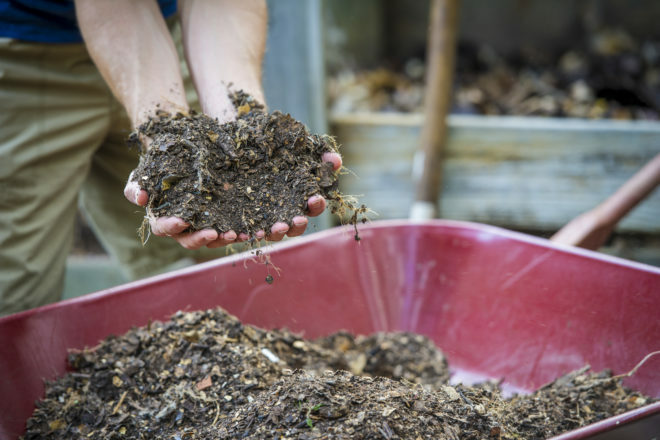 You can minimize this dreaded chore by using a good quality mulch like leaf compost in your flower bed. 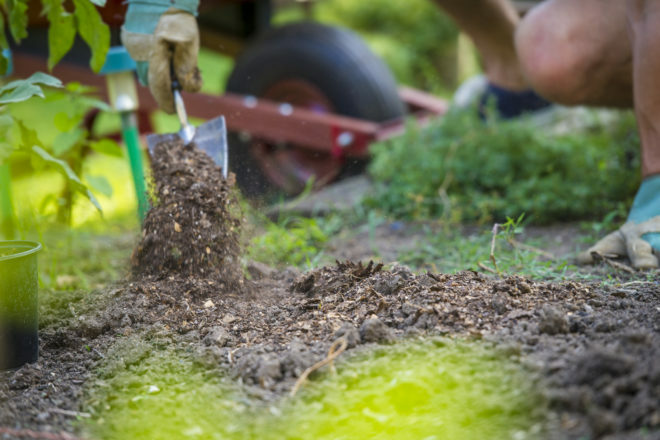 Not only does mulch help retain moisture in the soil, but also it helps smother existing weeds and prevent weed seeds from embedding in your soil. This is a case where defense – in the form of mulch – is your best offense. If you do find yourself having to pull up or hoe weeds, try to first target those that are preparing to go to seed, and beat them to the punch. With much of my gardening done at the farm, I don’t have the luxury of an extensive watering system. So most of my perennial plants have had to learn to fend for themselves, which is not a bad way to approach gardening. Water is a valuable natural resource, and the less supplemental watering done the better. But all gardens have experienced periods of extended drought with the temperature hovering around the 100 degree mark. That creates an environment that is not only tough on gardeners, but also their plants. If you can, consider watering once a week with a deep soak (30-45 minutes) versus a little bit of water every day. Deep watering supports deeper, stronger plant roots, which in turn, require even less watering. Soaker hoses are more efficient and waste less water than sprinklers, but there’s no substitute for a good downpour from Mother Nature. I hope I’ve convinced you of the benefits you and your garden will experience by spending a little extra time on some plant maintenance and gardening chores. 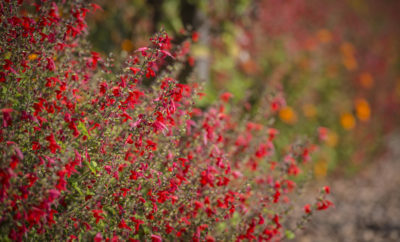 The summer perennial garden may not come with the same ease as the spring garden, but it can definitely produce the same pageantry and fanfare – with a little help from you.